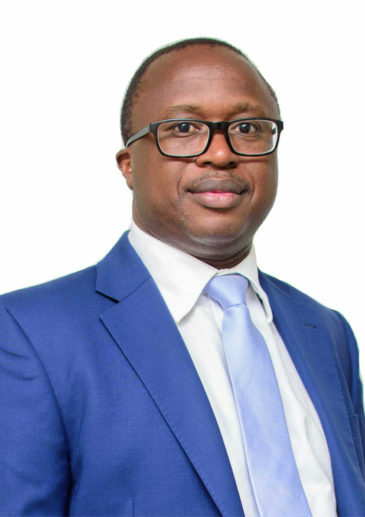 Before joining the Firm in July 2009, William amassed over 10 years diversified experience as Legal Advisor in the financial services sector characterized by top management positions in East Africa Development Bank, a development finance institution; Stanbic Bank, a leading commercial banking group in sub-Saharan Africa and the Central Bank of Uganda. William’s specialty at the Firm is project finance, corporate finance, syndicated lending, equity investments, regulatory compliance and debt collection. William holds a LLB (Hons) degree from Makerere University and an LLM (European & International Trade Law) degree from the University of Leicester, England. He was called to the Ugandan Bar in 1996. Currently advising a leading manufacturer of drugs in East Africa on a proposed cross-listing on the Uganda Securities Exchange and the Nairobi Securities Exchange. Currently advising the Bank of Uganda in its recent take-over of a financial institution in Uganda. Advised a leading private hospital in Kampala in its acquisition of the business assets of another private hospital in Kampala in a deal worth approximately UGX 6 billion. Advised a leading local pharmaceutical retailer in its acquisition of assets of another pharmaceutical retailer. Advised on a loan facility of USD 5, 1 million towards construction and commissioning of a proposed 2.7MW mini hydro power project in Kabarole district. Advising China Development Bank on a buyer credit agreement worth USD 645 million with the government of Uganda for the purposes of construction of construction of Karuma Hydro power dam and associated transmission lines and substations. Advised Hatton National Bank Plc (Sri Lanka) and Bank of Ceylon (Sri Lanka) as lenders in a financing agreement worth USD 8,5 million with Muvumbe Hydro (U) Limited (borrower) for the financing of the engineering, construction of a 6.5 MW power generation facility in Western Uganda. Representing Reynolds Construction Company (RCC) in a suit against the government objecting to the irregularities in the tendering process in regards to a project for the completion of the Northern By- Pass in Kampala amounting to of EUR 65 million. Representing one of the leading financial institutions in Uganda in class action against 12 Banks concerning the legality of levying of bank charges on certain transactions in Uganda. Advising the Standard Bank of South Africa and CFC Stanbic Bank in the financing and structuring of the acquisition and lease of rail- rolling stock by the Rift Valley Railways. Advising Nederlandse Finnacierings- Maatschappij voor Ontwikkelings-Landen N.V(FMO) in relating to a USD 15 million financing to DFCU Bank Limited. Advising a French development bank PROPARCO on a USD 6 million financing to NC Bank (U) Limited. Advised the Industrial Development Corporation of South Africa on restructuring the security package of two facilities amounting to USD 41.5 million, and the a new facility of USD 7.5 million to a hotel development. Advised a Dutch multinational financial corporation on a credit facility in the sum of USD 15 million to a re-known financial institution. Currently advising Bank of Uganda and GIZ on the reformation of the legal and regulatory set up of the Credit Reference Bureau in Uganda. As Executive Director in the Central Bank, William was instrumental in the drafting of the Ugandan Financial Institutions Act, 2004. Participated in a legislative drafting consultancy for the Republic of Somalia with a specific brief to draft the country’s Financial Institutions Act. Chambers and Partners, 2018 ranked William in Band 3 for General Business Law. IFLR1000’s 2018 Financial and Corporate Guide rated William as a Highly Regarded Lawyer for Banking and Project Finance. Chambers and Partners 2016 and 2017 ranked William in Band 3 for General Business Law. Listed amongst Chambers and Partners 2015 publication as one of the “Leading Individuals” and ranked as a “Band 3 Lawyer”.